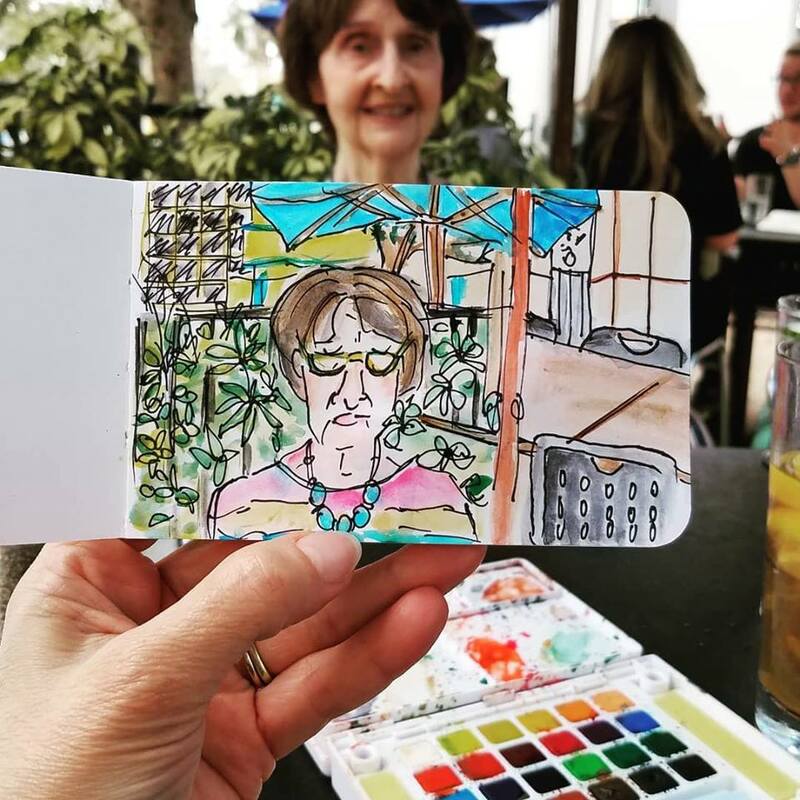 I record my travels in a series of little sketchbooks. It's a way to document my trips and organize my busy mind. Adding to a sketchbook forces me to slow down and also helps me notice things that I otherwise would miss. 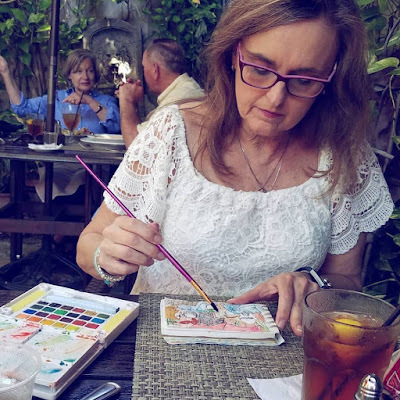 I recently traveled to my hometown of Orlando, Florida where I had several opportunities to sketch and paint. 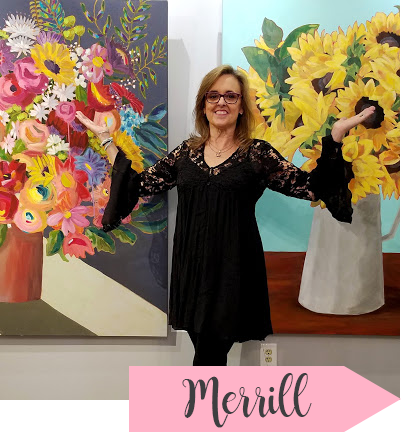 My first addition was on the patio of the Goblin Market Restaurant, tucked away down an alley in the charming hamlet of Mount Dora, Florida. While sipping iced tea, I made a quick sketch and added color here and there using my Koi Watercolor Field Sketch Box. Here is the final result of my Mount Dora plein air watercolor painting. 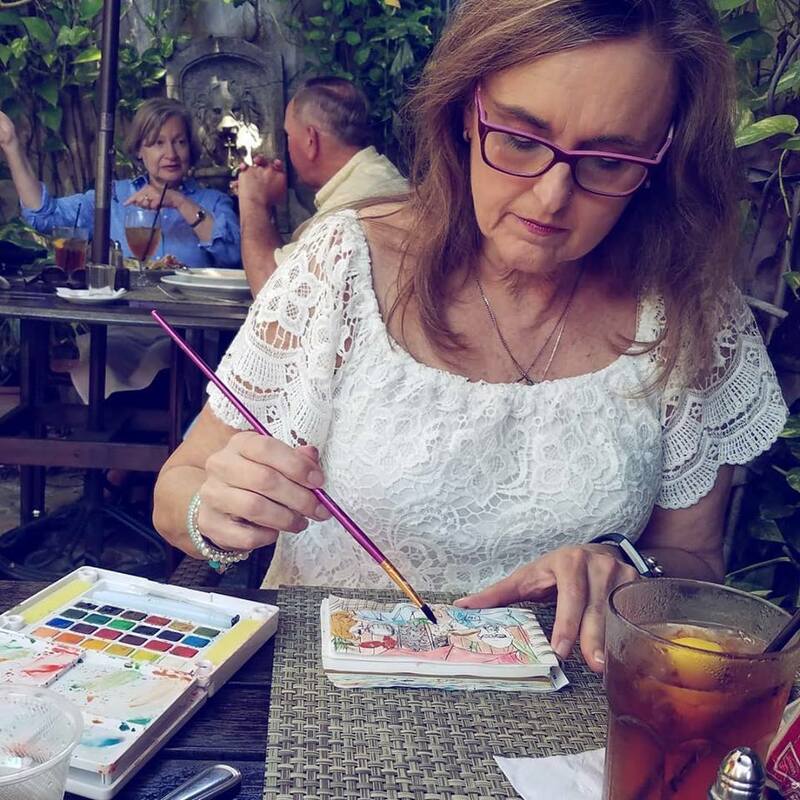 My goal was to paint my beloved, and the people seated at the table in front of me --- the latter undetected. They figured out what I was up to and asked to snap a photo of my wee painting. See the big wooden spoons hanging on the fence in the background? I never would have noticed, had I not been sketching and painting. 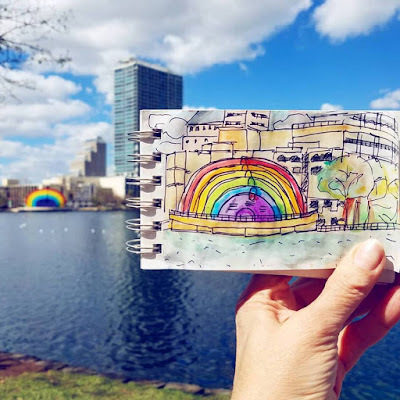 Back in Orlando, I quickly sketched and painted the bandshell at Lake Eola, seen below. In 2016, the bandshell was painted in rainbow colors to honor the victims of the Pulse Nightclub mass shooting. According to Orlando Weekly, each color has a different meaning: "Red for love; Orange for Orange County; Yellow is faith and hope; Green for life, its fragility and renewal; Blue for the sadness we all collectively feel and to honor our police officers and medical staff; and Purple representing valor and bravery." I felt a true sense of pride for my hometown for taking a positive stance against discrimination and violence. My husband is a great painting subject. He sits still and plays along. 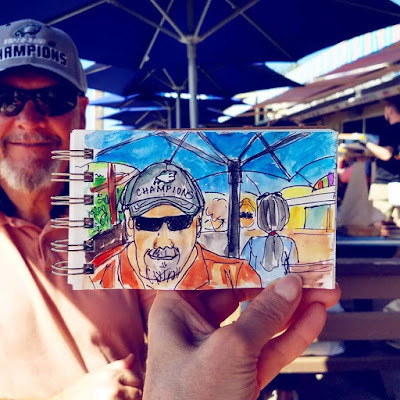 Here he is on the dock at JB's Fish Camp located on the waters of the pristine Canaveral National Seashore in New Smyrna Beach, FL, where we enjoyed the sunshine while eating soft shell crab sandwiches. Last but not least is a little painting of my mother. It looks nothing like her, but she was a good sport and laughed as we enjoyed lunch and chatted about the old days. 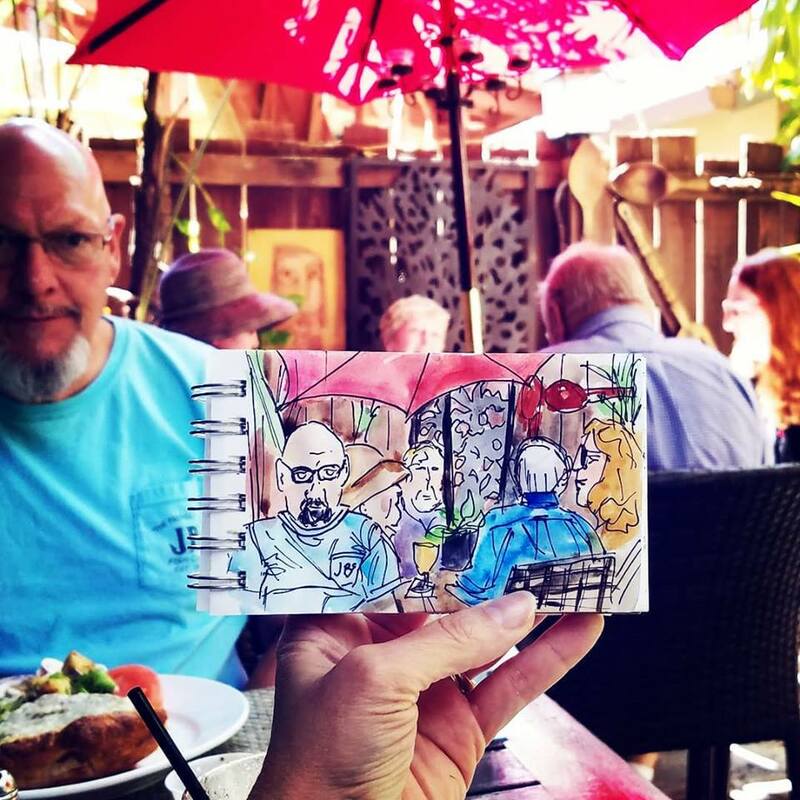 Do you sketch or doodle at home or on vacation? I would love to hear about it! Drop me a line and let me know. Love love love your sketches...colorful and fun and truly captured the scenes!